Atrevete, Inc discovered the fountain of youth this week. Respect the sanctity of beauty and preventive meds- I stumbled on to gold. Move over Botox and Restylane , here comes something meatier ( in muscle and truth) thirty days better bod, better life. A definite secret to youth- call me if you wanna know. He’s pricey. How real is a sizzle reel with Generation Enye and Magda? BAM!!! Brand me Bill!! Where in the world is m*ergy? North Carolina was hit by Miami’s top spinner this week. Grab your copy of survival with m*ergy in Tropical Life in Thursday’s Miami Herald! Reality is looking for a Cuban Socialite in Miami, let’s Skype Jacqueline!!! Soy Delicious crept into limited edition Tom Ford and Bond 9 candles sold exclusively in Miami, she might be going national with these little suckers soon. Go Tini!!! Mr. Big was seen hipping and hynging as he practiced pistol squats this weekend. No mention of inning and outing or KO. It was a nice surprise seeing him sweat. Shopped Splash this weekend and grabbed a blue kaleidoscope bikini for Harbour, ran by Studio LX for the Michael Lauren Trunk Show to get the perf outfit for the birthday dinner at the Rock House too. The girls in South Miami provide the appropriate threads to impress any young buck. 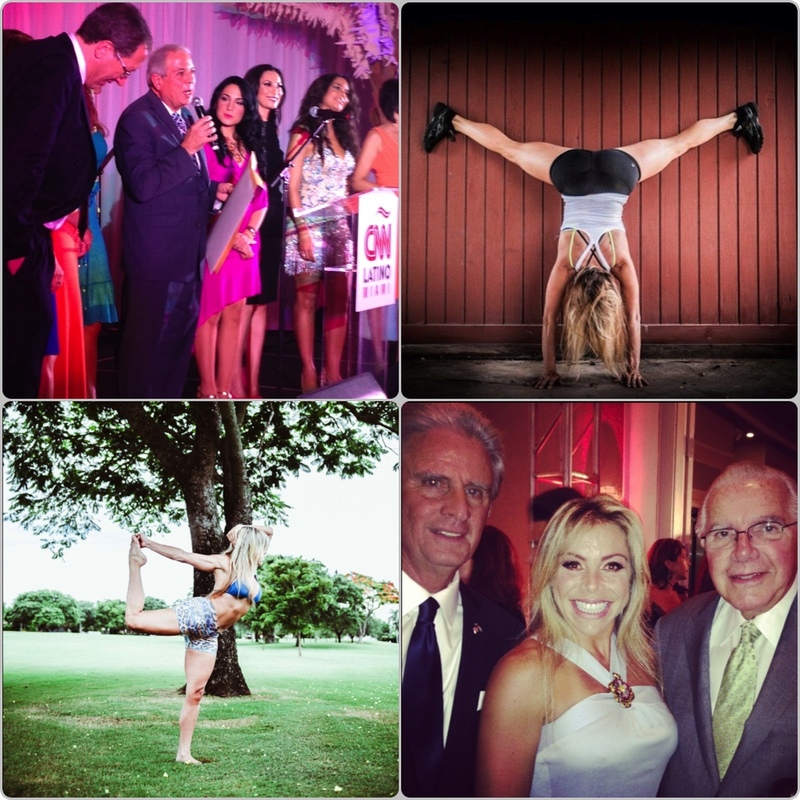 CNNLatinoMiami outdid themselves last Thursday at the Rusty Pelican’s red carpet launch. Tommy was impressed with Doctor Dribble and my dad came alive in the eyes of Carlos. We hung out with Tomas Regalado, Mirta de Perales, Thomas Garcia Fuste and the guru himself Samy! He was eyeballing Doctor Dribble’s locks for a bit, but in the end I stole the compliment! Don’t complain and don’t explain, the shindig is on July 25 at Club 50 @ Viceroy downtown. “Venue” will be there too, it’s the hubstagram or the place to go #ham. Follow me on Revete. I sense a BOOM is coming, did you ever see Couples Retreat? Do you know a girl, does she love her community, is she a FEMME FATALE? Deadline for this is July 20! So if you don’t know, I feel peachy.